It dawned on me the other day that I have been listening to NIGHT RANGER since I was a little kid. From the first time I saw the video for “Don’t Tell Me You Love Me” to 2011’s kickass summer song “Growing Up in California” this band has always managed to put out feel good albums and jams that just flat-out rock. Hell, I was sold on DAMN YANKEES before I even heard a note just because of Jack Blades’ involvement. The frontman/writer/bassist has had a prolific career and a ton of NIGHT RANGER tunes have been the backdrop for some great memories, and I’m sure many of you can relate, right? So when I heard that we had a new album High Road (out now via Frontiers Records) coming I was understandably excited. You want good time rock n’roll tailor-made for grillin’ on the back deck? Then look no further than this record, people. Title track and opener “High Road” gets this party started right and I see plenty of beers going down by the pool to this one all summer long. A high-energy rocker, it sets the perfect tone for what’s to come. And “Knock Knock Never Stop” keeps the train moving nicely. The band gets a little heavier and into more classic territory on “Rollin’ On” featuring some stunning fret board work from guitarists Brad Gillis and Joel Hoekstra, riff AND solo-wise. A deep introspective cut, “Don’t Live Here Anymore” shows drummer Kelly Keagy sounding world-weary and wise on his vocal and is an excellent song with some ripping solos. “I’m Coming Home” is a pure slice of 80’s riff rock that would be blaring out of Camaro tape decks from here to the PCH if I had my way. You can close your eyes and be young and carefree again. Remember those days? NIGHT RANGER certainly does and they’re determined to never let us forget those days, thank the Gods. The same is true of “X Generation” and this one is designed to be played LOUD, especially during that solo! Dual guitar leads? Yes, please! After this the band changes the pace for ballad “Only For You Only”…it’s good, but not great. And I’m a YUUUGE ballad guy; this one just didn’t resonate with me. It’s back to the business of rock with “Hang On” and “St. Bartholomew’s” once again showcasing the incendiary guitar work of Gillis and Hoekstra. Another cool thing about these, and every other song is that keyboardist Eric Levy is nice and high up in the mix, not buried in it. I love the keys when they’re done right, and in NIGHT RANGER they most certainly are. They also play a vital part in shaping the sound, so it’s great that we can hear them. By the way, everyone is talking about “St. Bart’s” and with good reason. It’s a foot-stomper for sure with a big, meaty hook and one of the heaviest riffs on the disc. For the cool-down run we have “Brothers”, a calmer number that I also liked but didn’t love. Closing my copy is the bonus track “L.A. No Name” an absolutely gorgeous instrumental played on acoustic guitars. I have always loved the Melodic Hard Rock/AOR bands like JOURNEY, FOREIGNER, and NIGHT RANGER who are still forging ahead, making feel-good music that people want to hear and getting them on their feet and screaming summer after summer on tour. It’s nice also to see these bands coming up with great new material while staying true to their roots. 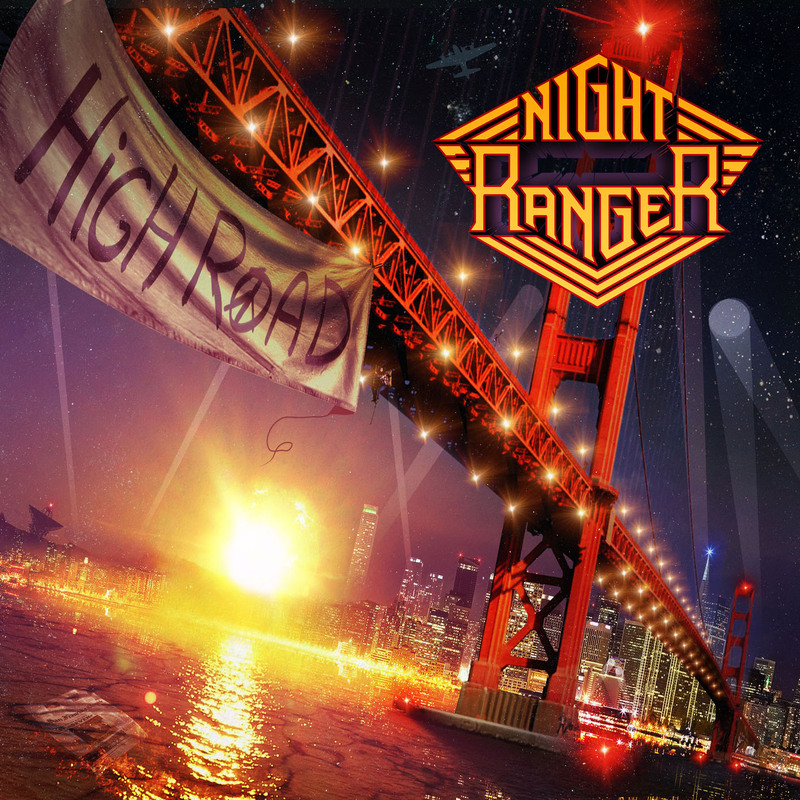 And on High Road, NIGHT RANGER does just that. Grab your copy, some cold ones, and have a barbecue today. I’ll take my burger medium rare, thanks.